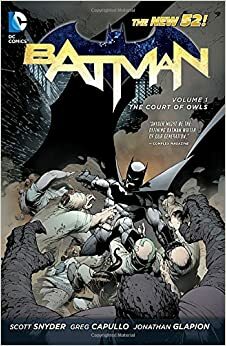 Following his ground-breaking, critically acclaimed run on Detective Comics, writer Scott Snyder (American Vampire) alongside artist Greg Capullo (Spawn) begins a new era of The Dark Knight as with the relaunch of Batman, as a part of DC Comics--The New 52! Consider your intent/commitment. Think about your favorite shows, movies, books, etc. Do you seek quality storytelling or encyclopedic superhero knowledge? Plan to collect? Do you have the time/money to read 50 or 500 comics per character? Don’t try to read everything at once. There’s too much. Forget about catching up, continuity, universes, etc. for now. Think of it like solving a jigsaw puzzle one small piece at a time until you finally start to see the big picture. Older comics can be an acquired taste for modern audiences, so they aren’t always ideal starting points. Creative teams change often, characters get re-worked, and origins are re-told. > but a lot of what I've read ends up being marvel because every time I try to get into DC I get absolutely lost on trying to find a continuity. What if I told you that some DC readers say the EXACT SAME THING about Marvel? 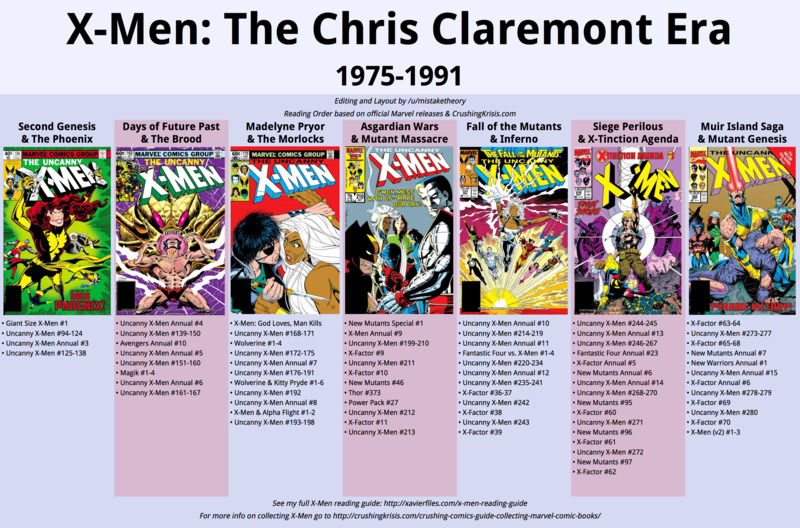 Marvel has had pretty much the same continuity since the 1960s. DC had 2 major reboots that let readers start fresh, post-Crisis (1985) and New 52 (2011). But none of that matters. How are you getting "absolutely lost"? Are you hyper-focusing on overall continuity before having read many of the important stories? Don't do that. That's a skill that should have been learned from reading Marvel too. Let it all come together over time. These companies aren't doing anything DRASTICALLY different from each other storytelling-wise. They are both decades-old superhero shared-universes with thousands of characters with ongoing continuity published in monthly/bi-weekly installments and the occasional crossover/event. Why/how does that make no sense? Is it because you didn't read Jason Todd's "origin story" in Batman: Second Chances (which takes place in the issues surrounding Year One)? Does that mean you'd want to read Batman: A Lonely Place of Dying for Tim Drake too? Are you just saying that YOU, personally, require more backstory than those lists suggest? What's wrong with ComicBookHerald's Batman Reading Order? Is that too much backstory? How are they/we supposed to know the exact amount of "important" backstory you're looking for? You should list examples that you've encountered. > Why do no lists have this and how am I supposed to know what's going on? Because there's so much of it, it's not all good, and it can usually be explained in a single sentence: Batman steers street hoodlum away from life of crime by training him to be Robin. I mean, how have others been managing to get it? Likely by understanding that comics don't follow a perfect story through-line unless you read everything (not recommended either). You can either (1) wiki the missing information or (2) ride along. Some people don't even recommend reading Death in the Family. The well-written, self-contained, Batman-centric story arcs are much more interesting than his continuity/Bat-family, imo. > I'm not asking for a grand list where they all fit, just a skeleton of important stories that don't jump around. Those two lists are not as different as you think. You want (1) no jumping around and (2) just a "skeleton". That's still a long list with plenty of subjective input about which stories are considered "important". For example, are every story about each Robin, Batgirl, Nightwing, GCPD chars, Detective Comics characters, rogues, etc. important to BATMAN's story? What if Batman isn't Bruce Wayne anymore? There's also an approach to comics that involves reading just the popular/acclaimed stories and ONLY reading all of the in-between stories if you're interested. For example, you might not care about one of the 4 Robins enough to read more about them. There might be enough recaps/re-tellings that make the original story redundant/unnecessary. Keep in mind, this is just ONE character at ONE publisher. You might spend years reading most of Batman's stories. Meanwhile, there are hundreds of series about other characters or even from other publishers yet to be discovered that you might like even more. Knightfall | Batman #484-515, Detective Comics #654-682, etc. | 1993-1994 | Moench, Dixon, et al. No Man's Land | #563-574, etc. | 1999-2000 | Gale, Rucka, et al. Consider your intent/commitment. Think about your favorite shows, movies, books, etc. Reading primarily for enjoyment or encyclopedic knowledge? Collecting? Have the time/resources to read 50 or 500 comics per character? Don’t try to read everything at once. There’s too much. Forget about catching up, continuity, universes, etc. for now. Older comics can be an acquired taste for modern audiences, so they aren’t necessarily ideal starting points. Writers change often, characters get re-worked, and origins are re-told. Remember, there are many great characters, creators, publishers, etc. to explore. Pick an interesting character/team and seek their most popular/acclaimed stories. Focus on self-contained, complete stories in one corner of the universe. There will be unexplained references/characters, just persevere or Wiki. Don’t let the tangled web of shared-universe comics overwhelm you. Think of it like solving a jigsaw puzzle one small piece at a time until you finally see the big picture. Discover your preferences and let them guide you. Don’t get stuck preparing/over-analyzing, just start reading. 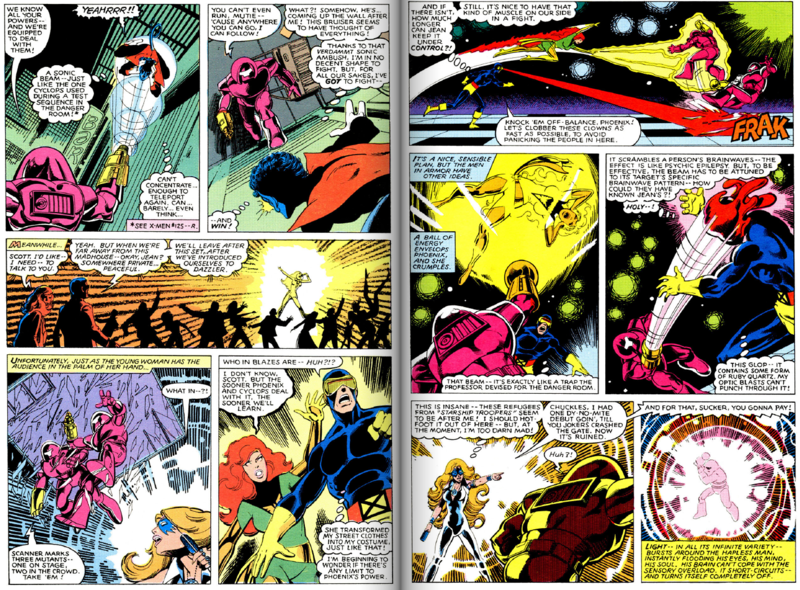 Do you like/dislike old/new comics? Specific writers/genres? Cartoony/realistic art? Familiar/weird concepts? References/self-contained? All-ages/mature content? Follow these instincts. Didn’t understand a reference? Maybe read that next. Or skip to the 2016 re-launch DC Universe: Rebirth event and then any Rebirth series #1. Hellblazer | Delano, Ennis, et al. Which Deadpool run, specifically, did you start with? We didn't really learn much about you from the last time you posted. It'd be a lot easier to recommend something you'd like if we knew more about your preferences/experience. What are your favorite movies, TV shows, games, books, etc.? Which are your least favorite? Do you like short stories? Do you like long, sprawling stories that require a lot of commitment (time and financially) to multiple series over years? Do you really require origins and closure (e.g. did you enjoy the original Star Wars trilogy even though it started in the middle of a grander story)? "ongoing" just means it was released as single issues (monthly) during it's initial publication. It does NOT imply there was an origin and closure, at least in the traditional sense. Every time a new writer starts their "run" of a series, it can either be a fresh start, a continuation of the previous writers' story, a little of both, etc. The Garth Ennis Punisher (Max) run has an origin story in Punisher Born #1-4 and then 60 issues of interconnected story arcs with a finale and extras. It's self-contained and in a separate universe. It's also my (and many others) favorite run on Punisher. Garth Ennis is finally free to make brutal, violent, and unhinged Punisher stories under the mature readers Max imprint. Frank Castle discovers his true self in Vietnam and uses the loss of his family to wreak havoc on a dark, seedy, criminal underbelly including mafia families, human traffickers, assassins, Nick Fury sponsored international missions, corrupt cops, etc. Refer to this Reading Order for more. Messiah Complex | #1, tie-ins | 2007 | Brubaker, Kyle, Yost, et al. Second Coming | #1-2, tie-ins | 2010 | Kyle, Yost, Fraction, et al. Avengers vs. X-Men | #1-12 | 2012-2013 | Bendis, Brubaker, et al. 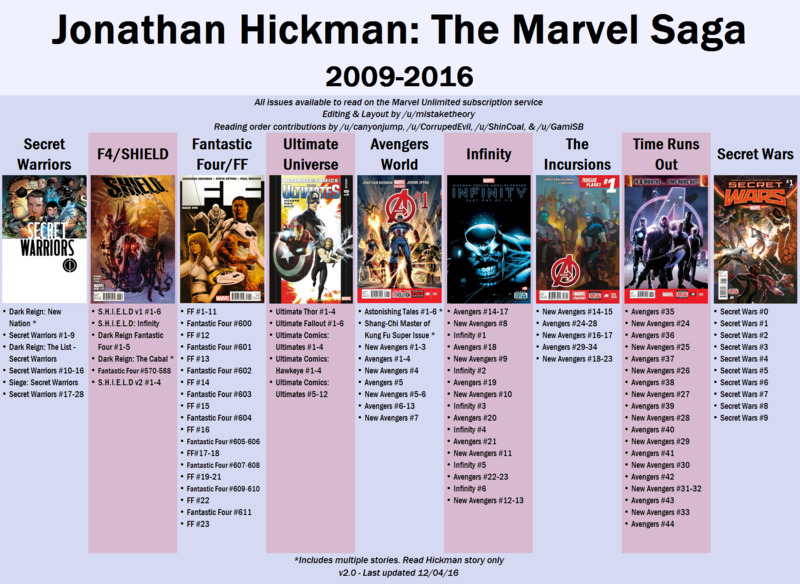 If you're interested in Marvel superheroes, check out the Marvel Comics Reading Guide in the /r/Marvel sidebar. You can skip to the 2016 Rebirth re-launch with the DC Universe: Rebirth event and then any Rebirth series #1. Hellblazer | #1-300 | 1987-2013 | Delano, Ennis, et al.